After 12,000 years, mystical creatures known as "Shadow Angels" were nothing than a nightmare from the past. However, these beings have once again risen to threaten the human race. If things weren't bad enough, a disaster known as the "Great Catastrophe" nearly destroyed the entire planet. The survivors have fallen victim to the Shadow Angels, harvested like cattle in order to steal their lifeforce. These are mainly controlled by their giant Cherubim Soldiers. Unsurprisingly, normal weaponry are no match against this mysterious threat. 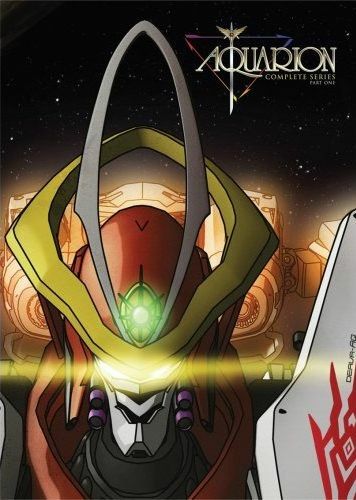 Though humanity's last hope is found during an expedition led by Gen Fudou, who discovered three advanced fighter planes known as Vectors. A secret organization named Deava is created to harness the power of the Vectors as a potential weapon against the Shadow Angels. The fighter planes are capable of combining and transforming into the powerful robot Aquarion.